If I say the words “brand value”, would you even know what I am talking about? Companies spend millions of dollars a year to be perceived as valuable to their clients-more valuable than competitors, but what does it truly mean? According to Seth Godin, “A brand’s value is merely the sum total of how much extra people will pay, or how often they choose the expectations, memories, stories and relationships of one brand over the alternatives.” By differentiating from competitors, brands gain value in the eyes of the consumer who then promotes it by frequent purchasing and word of mouth. Repeat customers become the lifeline to any business and in our business as fitness professionals and gym owners, it’s the only way to survive. When you look at companies with the best brand recognition and perceived value, their product names become synonymous with the product themselves. Think about when you have a cold and you need a tissue, what do you ask for…(hint: it’s not usually the word ‘tissue’) A Kleenex. That’s a company’s product name, though, not the actual technical name of the product. Throughout the South, when you want to order a brown soda beverage, you say you want a Coke. It doesn’t matter if it’s actually a Pepsi, an RC Cola or any generic version of the beverage, it’s all referred to as a “Coke”. People put a premium on the brand value of these products by these particular companies and when they ask for these products, the way it is requested speaks volumes about its perceived value. But, how did they get there? The easy answer is advertising money, but let’s break it down for our own industry and how we can apply it to raise our own brand awareness and value. How do you ensure your gym, your brand, becomes synonymous with weight loss, nutrition or total body transformation? Building your brand and incurring brand value in the eyes of your consumers can be a timely process involving three main components: your look (think logo and color scheme), your message (tagline, tone and communication styles) and customer service (how you interact with consumers). Most of us as fitness professionals and gym owners do not have the kind of money backing our marketing plays that the big industry companies do to throw at campaigns that may or may not resonate with consumers. We need to hone in on what our own studios do best and figure out how to raise our own brand awareness and value. The number one piece of advice I can offer from years of experience in this industry is: consistency counts. Sure, we can easily make sure that our logo looks the same, no matter the medium, but it goes beyond that. People should never question what you stand for. We are in the business of promoting healthy living in a positive environment, so don’t stray from that. Remain positive in your interactions with clients and potential clients, use inspirational quotes and photos, blogs that promote healthy living and a tone that remains the same regardless of whether you are posting a Facebook update or speaking on the phone with a potential client. The message that you present to a client must remain consistent across all mediums. I have seen many gyms who make too many promises; offer too many options and can’t follow through on any of them. Define what your gym does better than any others in your area and perfect that to raise your brand value. Secondly, and equally important, is visual images. Nowhere is the value of a quality image worth more than in our business of transforming people’s lives. Showing a client’s journey from beginning to end is an incredibly moving opportunity. And, the bigger the transformation, the better that emotional connection that new clients will feel. Take the time and spend the money to get good photographs of your clients at the beginning and current states of their transformation journey. It not only will help you immensely at convincing potential clients that you practice what you preach in helping people transform their lives, but it also will keep current clients engaged and accountable for their success. We make it a priority to take before and after photos of every single client we onboard for any of our challenges. By providing this service to our clients, we are ensuring that they find value in the hard work our trainers provide to help them reach their goals. Finally, be present. What I mean is this…ensure your trainers leave cell phones in their bags when clients are present. Identify potential consumer concerns early and address them before they become full-fledged problems. Greet clients on the way in and out of your facility. Customer service is a cornerstone of this industry and clients have many choices of where to spend their monthly membership fees. Make sure that they want to give you their money by providing an unparalleled experience. 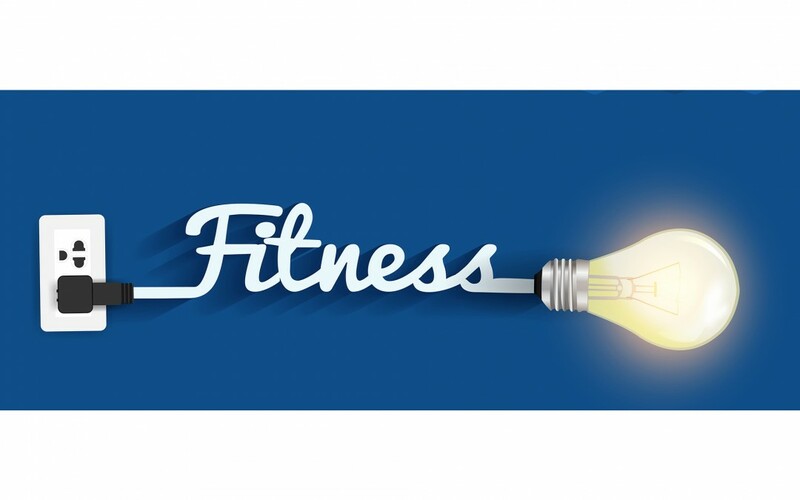 Just incorporating these few suggestions into your marketing for fitness campaigns and every day interactions with consumers should help solidify your brand value in the marketplace. Ensure that every interaction you have with consumers remains positive, engaging and enhances your overall message.